Home / Blog / SIP Challenge 122 – Product Feature! 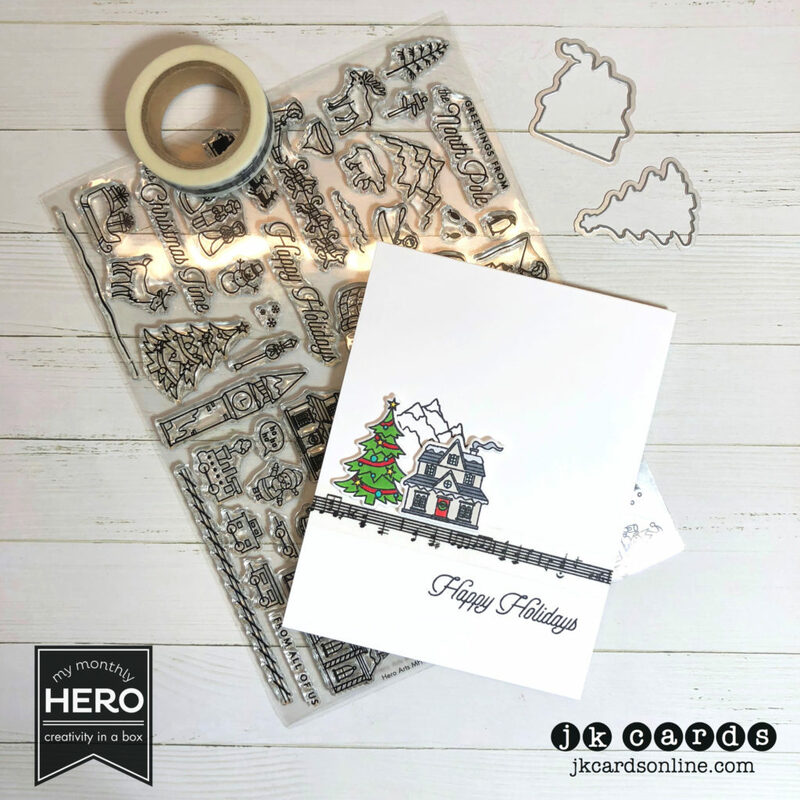 This entry was posted in Blog, Cards, Copic, Crafts, Embellishments, Hero Arts, My Monthly Hero Kit, Photopolymer, Stamps and tagged Card Making, Crafts, Hero Arts, My Monthly Hero, SIP Challenge. Bookmark the permalink. Justin, I love the house with the red door!! This card is very elegant with a simple design! Love how you used the washi tape. I have a stash of it that I just don’t remember to use. I’ll go to the challenge blog to what inspiration I can get. I agree with you about how a dreary day zaps my energy. I’m going to lunch with a friend, so that will bring some laughter and good conversation and we won’t even notice the weather. Enjoy your day! Love the little scene you have created here Justin. Popping the tree out with foam tape and using the musical Washi tape was positively, absolutely perfect. This card is a keeper and recreating it to send out to folks would be nice and easy. I love the simplicity of your card, Justin. I have that kit as well and am just mind boggled with all the little scenes one could make, so I appreciate seeing your beautiful CAS design with it! 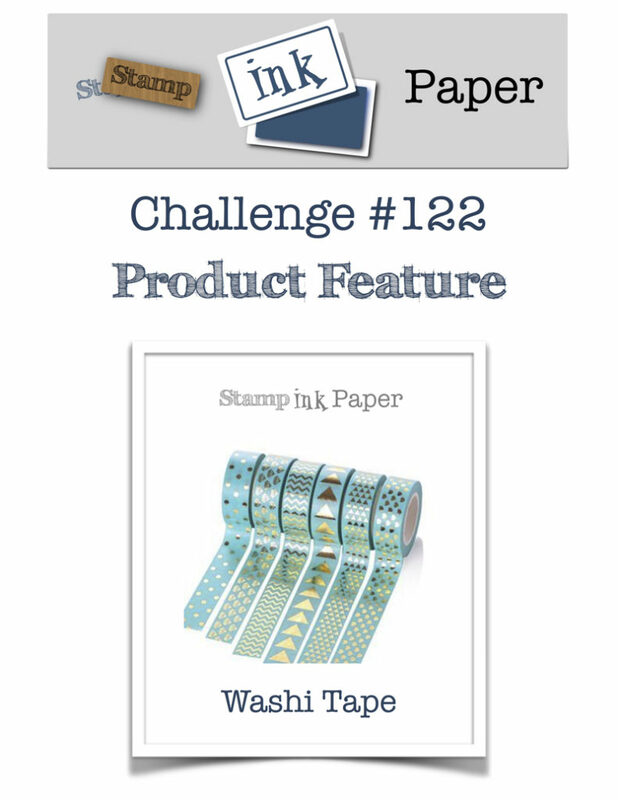 I also think this is a great challenge, who doesn’t have scads of Washi tape? Fun!